Â Fans expecting new information on ‘EverQuest Next’ during this year’s SOELive came away tonight with a bittersweet announcement from SOE president John Smedley. During tonight’s SOELive keynote address, Smedley explained that everything we’ve seen on EverQuest Next thus far has been scrapped and the game is in the process of being reworked. Given the turn of events, SOE will not be showing off EverQuest Next during this year’s SOELive. However, Mr. Smedley did promise attendees that not only would EverQuest Next make an appearance at SOELive next year, it will also be playable. Why’d SOE scrap the work done up to this point? Smedley noted that the team ultimately wasn’t happy with the game. 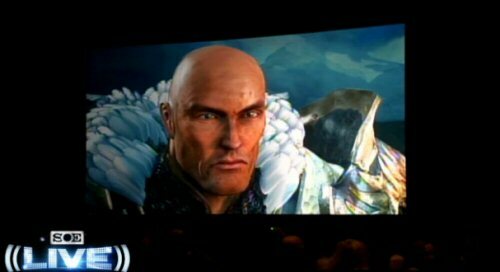 EQ Next felt too ‘evolutionary’, more like an EverQuest 3 than what SOE was going for. According to Smed, SOE ‘changed the world’ with the launch of the original EverQuest, and they want the launch of EverQuest Next to be an equally monumental moment in the MMO genre. To that end, Smedley promised that EverQuest Next would be the “world’s largest sandbox”, with content delivered to players in an entirely new way. The team is being lead by EverQuest staples such as Terry Michaels and Dave Georgeson and fans were assured that they are intending on remaking Norrath into something unlike anything players have seen before. This entry was posted in Other Games. Tags: guild wars 2 gold.